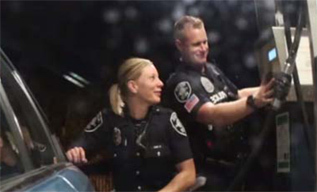 Watch “A Day in the Life” of the dedicated officers of the Seattle Police Department making our community safer. Every fall is an opportunity to honor the sworn and civilian members of the Seattle Police Department for going above and beyond the call of duty to keep our community safe. Nominated by their peers, the night is truly a unique opportunity for the department, community leaders, and everyday citizens to recognize the outstanding work this department does every single day. Save the date of November 3, 2017 for the 15th Anniversary Seattle Police Awards Banquet at the Westin. The Medal of Honor is the Department’s highest award, given out to sworn or civilian employees who selflessly give their life in the line of duty, or distinguish themselves by the performance of an act of courage involving extreme risk or imminent danger, above and beyond the call of duty. The nominee must have acted in the face of extreme risk for his or her own well-being and with full knowledge of the risk, and substantially contributed to the protection of human life and/or been engaged with an armed and/or dangerous adversary. The Medal of Courage is the Department’s third highest award, given out to sworn or civilian employees who display courage and bravery in the line of duty, under conditions less hazardous than those in the Medal of Valor and the Medal of Honor categories. The act must have been a superior performance of duty, performed in a highly commendable manner, and based on sound judgment. Awarded to sworn or civilian employees for acting in a significant manner, but not necessarily putting themselves in significant risk, to save or prolong another’s life, either by acting when the life of another was in immediate peril or assisting in the delivery of a child. Nominees must have acted within department policy. Excellence awards are highly competitive, and up to 10 awards in this category are given out each year to individuals or small teams. Emphasis is placed on performance of duties at a particularly high level where the individual or small team has shown a proven consistency of this level of performance, has tackled a long-standing problem through a creative solution, or has gone above and beyond the expectations of their position to impact a person or event for the better. Given to a member of the community and recognized at the annual awards ceremony. Nominees are selected by each Precinct Captain for work of heroism, helping the police with a criminal case or partnering on a significant community problem. A Detective or Detectives who demonstrate outstanding work on a significant case, exhibit superior work ethic, investigative savvy and tenacity, and consistently produce high-quality work. A civilian who demonstrates outstanding work on a significant project or projects and exhibits an overall outstanding work ethic, dependable and reliable response to problems, and a tenacity that results in consistently high quality work products. A police officer who demonstrates outstanding work on a significant incident, exhibits an exceptional work ethic, positive attitude, and overall willingness to go the extra mile. Awarded to an individual or small team who has shown a true commitment to public service through volunteering, pro-bono work, fundraising for a cause, or helping a member of the public by giving of their own time or funds. Emphasis is on work or acts performed that have no financial gain to the nominee.